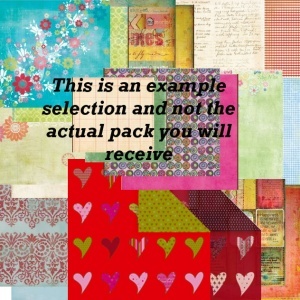 An absolute bargain, this surprise pack is a random selection of 12 inch sheets* of great quality papers, cards, die cut shapes and sticker sheets. 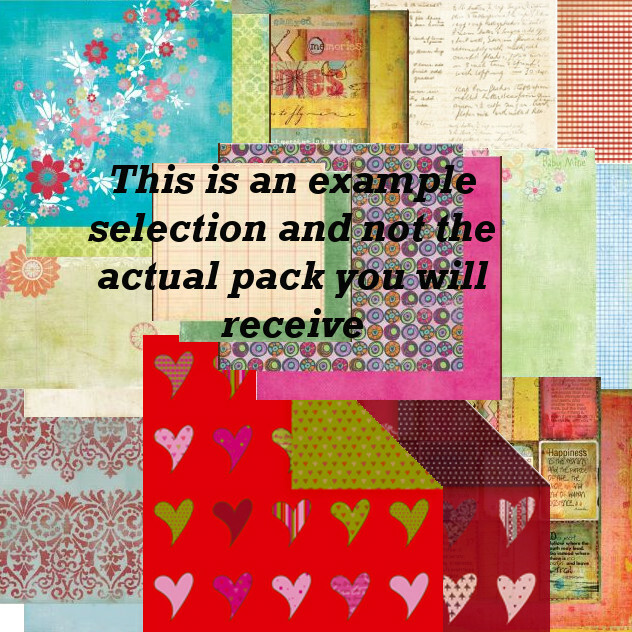 Mixed packs of 10 sheets are selected from brands which include Kaiser Craft, Fancy Pants, Cosmo Cricket, Black Market Paper Society, Jenni Bowlin, My Minds Eye, Bella and Sugartree. These would individually be sold for at least £10 on our site, so represents a fantastic deal! * Some sticker and die cut sheets are smaller than 12 x 12 inches, in this case we'll include an additional sheet of different stickers or die cuts.